With so much to consider regarding the different types of online writing, freelancers who are just starting out may find themselves in a dilemma. Nowadays, (as of 2018), freelance writing jobs come in a dozen types, and you will want to choose an area where you’re best suited. As a freelancer seeking to earn your income through online writing, you will come across projects requiring you to write magazine articles, social media posts, email newsletters, blog posts, website content, and so on. To help you kick-start your writing career, we’ve outlined some of the most common freelance writing job that you will find on the web. Content marketing is undoubtedly king in the business world nowadays. Luckily, this has created a high demand for content writers. If you’re a content writer, you will be writing for business organisations or websites, to help them promote their brand to potential customers, market their products, and engage their clients. A perfect example of these websites Unibet Sportsbook, which is a gambling platform. If you can write high-quality content about gambling, including casino gambling and sports betting, then this site is worth giving a whirl. Content writing involves creating texts that entertain or inform readers. For businesses that sell services, the job of a content writer is to help in building an excellent reputation for the company, while winning trust from customers. If a website doesn’t sell services, then the primary responsibility of the writer is entertainment. Content writing may include such things as blog posts, website content, white papers, press releases, advertising copy, and in-house publications. This is the most common of all types of online writing and involves completing individual articles for online mediums, including websites and magazines. Article writers create texts about topics that interest them or things they have expertise on. These articles are published on sites, or in online magazines. Although article writing is one of the most accessible forms of online writing, the writer compensation is usually meagre. Hence, article writers may need to find other sources of income, as what they earn from writing may not be enough to sustain them. For many article writers, writing for websites is better than writing for online magazines or newspapers. There are virtually thousands of sites, offering article writing projects, on a variety of topics, making it easy for writers to find something that they can write about. Since we live in the era of social media, businesses strive to establish their presence on these platforms, which is why many organisations outsource their social media content, offering freelancers an opportunity to make money. As a social media content freelancer, you will be required to write, and schedule, social media posts, which cover videos, images, and written content, for businesses. 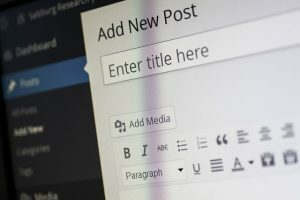 In a real sense, blogging is part of content writing, especially if it involves marketing brands through writing enticing blog posts about them. However, blogging can stand alone as a type of freelance writing, if the writer is running their own blog. Here, the freelancer creates blog posts on the topics of their choice, and builds a community of readers, before monetising the blog. Although it requires patience, blogging can reap the rewards once it is able to attract massive traffic; affiliate marketing is one way of earning money from a blog.